We believe that tasty food and nutritious/healthy food are not mutually exclusive. On our farm we aim to produce as much of our own food as possible, and we make much of that food available to others. Our primary food enterprise is beef. Ichthys Beef is raised from baby calves born on our farm so you know where animals come from and how they are care for. They spend most of their lives grazing abundant, high quality forage. The grain finished beef spends a few months on grain for fattening. Our grain finished beef consumes corn (for energy), cob (for roughage) and an all natural protein pellet…and water, for the last 100 days of finishing. We never use growth hormones or antibiotics. All our beef dry ages for 21 days post-slaughter and before processing to produce uncommonly tender beef. Our cattle eat grass for most of their lives, the breeding stock does so exclusively. 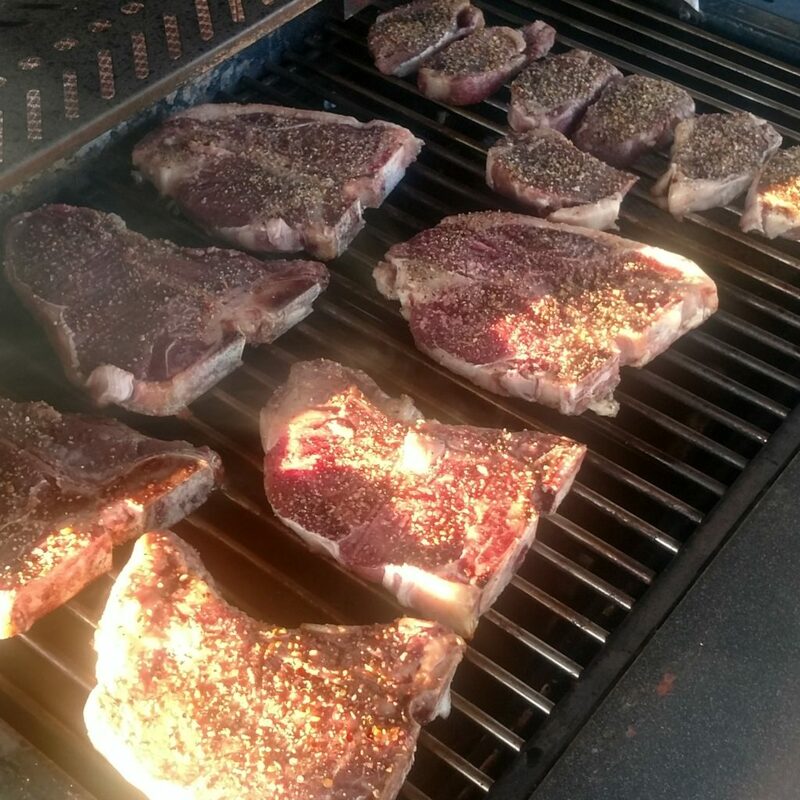 We offer both grass fed/finished beef and grain finished beef…and our customers love it! All of our beef is all-natural, home-raised beef from a fifth generation family farm in Nebraska. 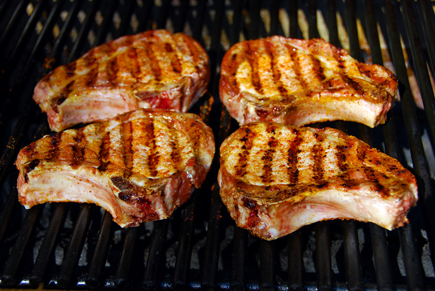 To our beef customers, we also offer a limited amount of naturally raised/non-confinement pork. See below for the beginnings of this enterprise. For the past 12 years, we have required every child, by the time they are 7, to have their own enterprise. Not really coincidentally, each child has chosen a food enterprise. Our “deal” with them is that we pay for the majority of the expenses and they manage the enterprise. The family gets to use as much of the food product as it wants/needs and they are free to sell the rest. 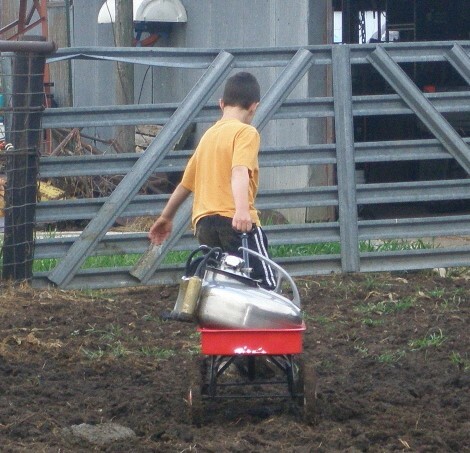 Robert has milked up to 3 cows at a time over the course of his childhood (Robert’s Dairy), but this spring, as he prepares to head to college, he will be passing the reins to David. 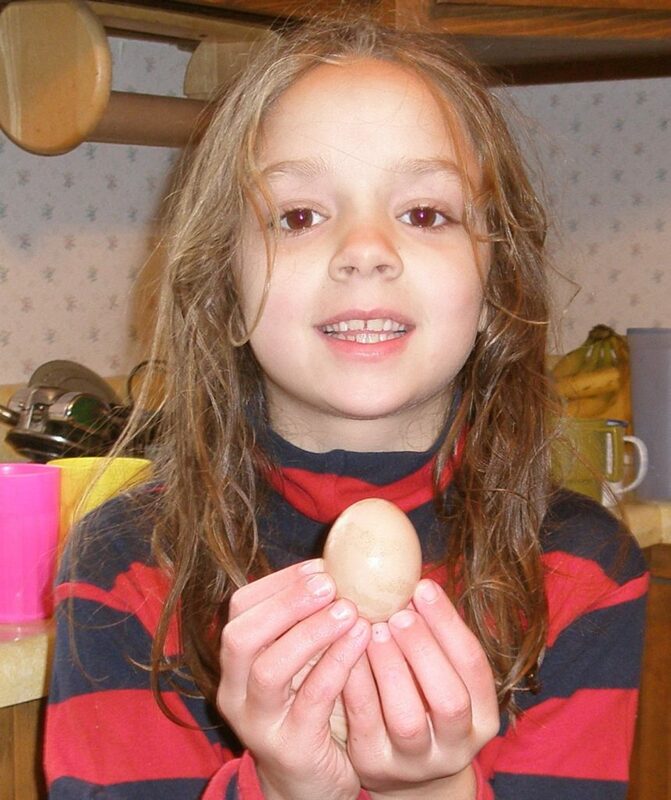 Ashley gathered eggs from her free range hens (Ashley’s Eggs) for many years, but after predator problems, she has decided to let the egg business go bay the wayside so that she can focus on the cattle, growing her own herd. 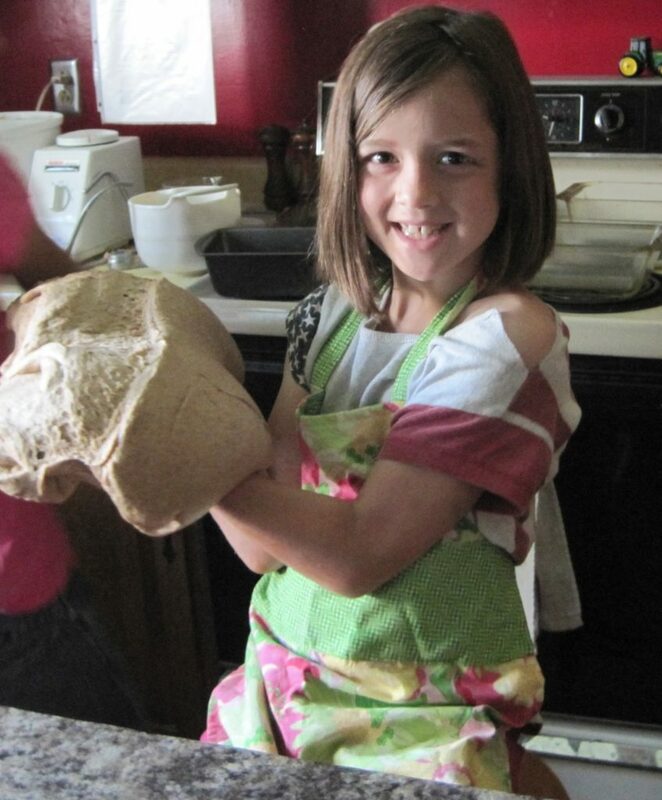 Hannah has baked bread products from freshly ground wheat (Hannah Banana Bread) to sell at farmer’s market since she was five years old. 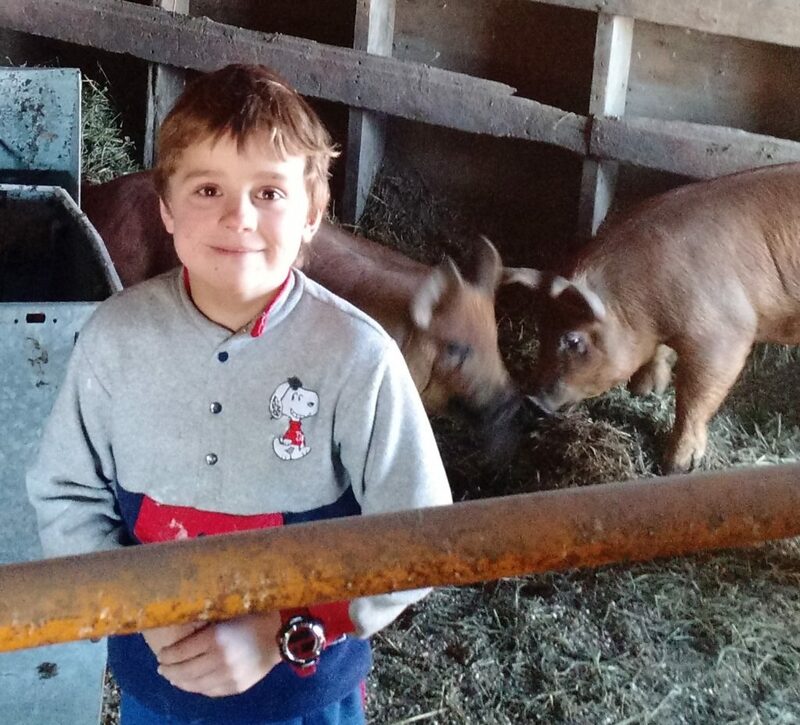 David has fed out hogs (David’s Pork) and Rachel has been growing her meat sheep flock over the past few years (Rachel…Aren’t Ewe Special?). 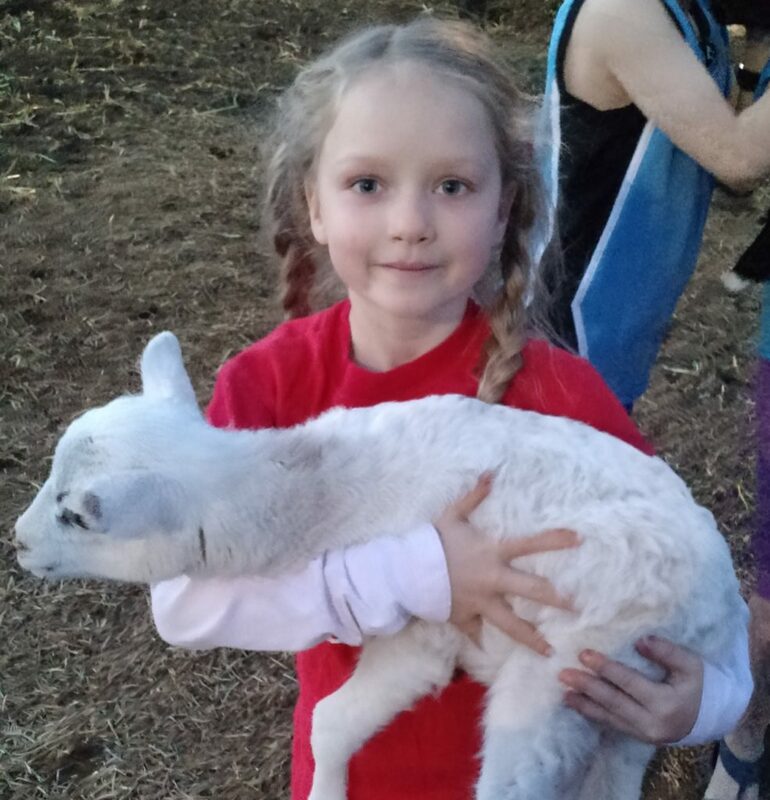 Rachel plans to sell bred ewes as well. We also produce grain and grass finished beef. If you are interested in any of our products please contact us.